For the first time in forever … or, ever, actually! 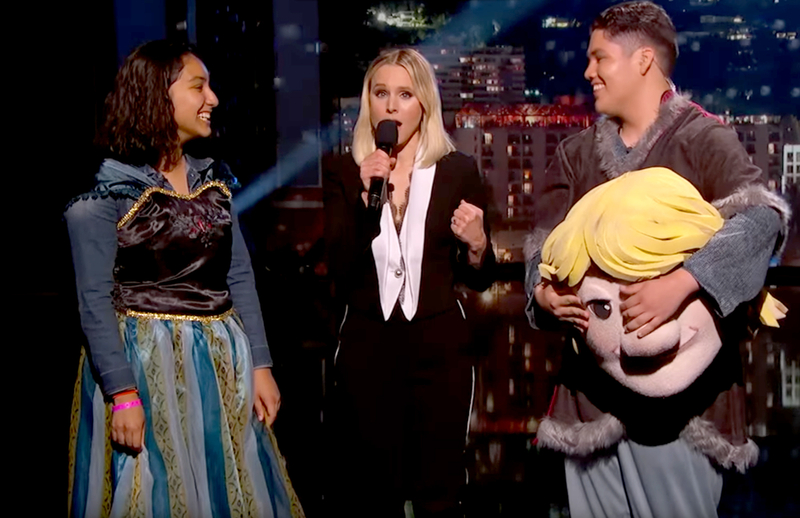 Kristen Bell helped a high school student pull off the most epic Frozen-themed promposal when she hosted the Thursday, May 4, episode of Jimmy Kimmel Live. Check it out in the clip above! 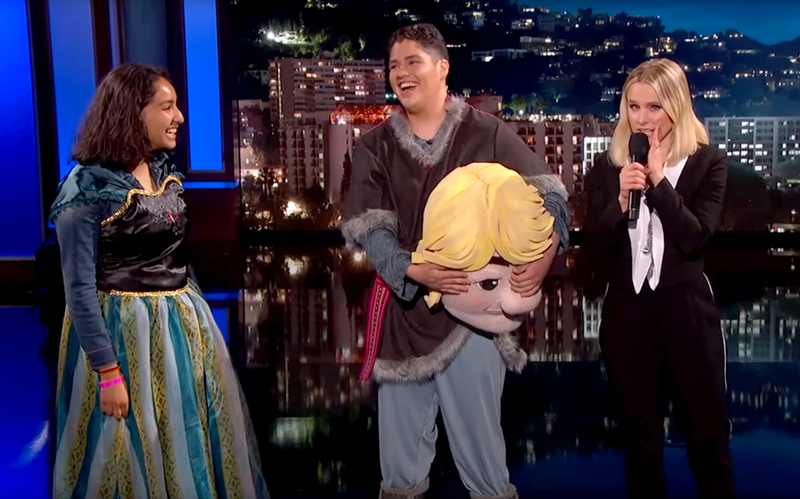 On behalf of a young man named Michael, the 36-year-old actress — who voices Anna in the hit Disney animated film — sang alternative lyrics to Frozen’s “Do You Want to Build a Snowman?,” asking his crush, Sarah, to join him at their upcoming prom. However, Sarah had no idea that Michael was planning to prompose. 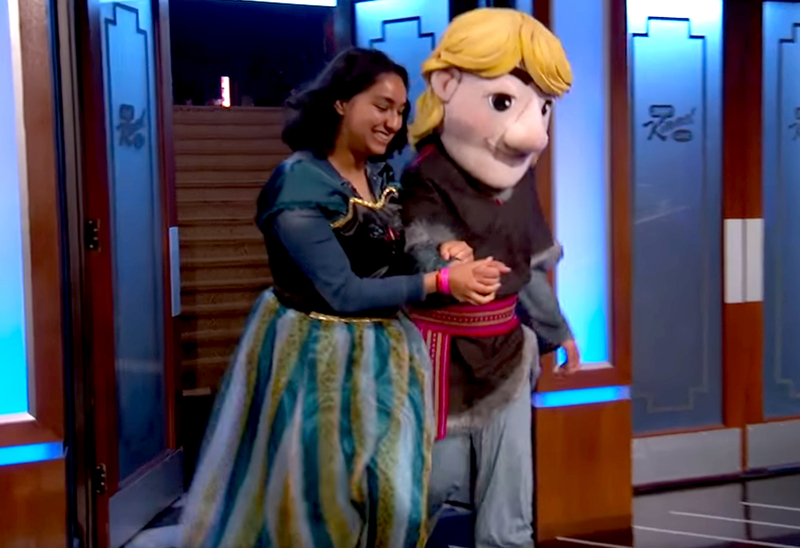 Before the sweet moment, Bell sent the unsuspecting high-schooler (dressed in an Anna costume) on a scavenger hunt on L.A.’s Hollywood Boulevard, where she was told to find a Kristoff and bring him back to the studio. When Sarah headed out, Bell let the audience in on the secret. When Sarah brought “Kristoff” back in, he took off his mask to reveal his true identity. “Sarah, there’s something I wanted to ask you, but I didn’t know the words, so Kristen Bell is going to help me,” Michael told a stunned Sarah. To see if Sarah said yes, watch the video above!